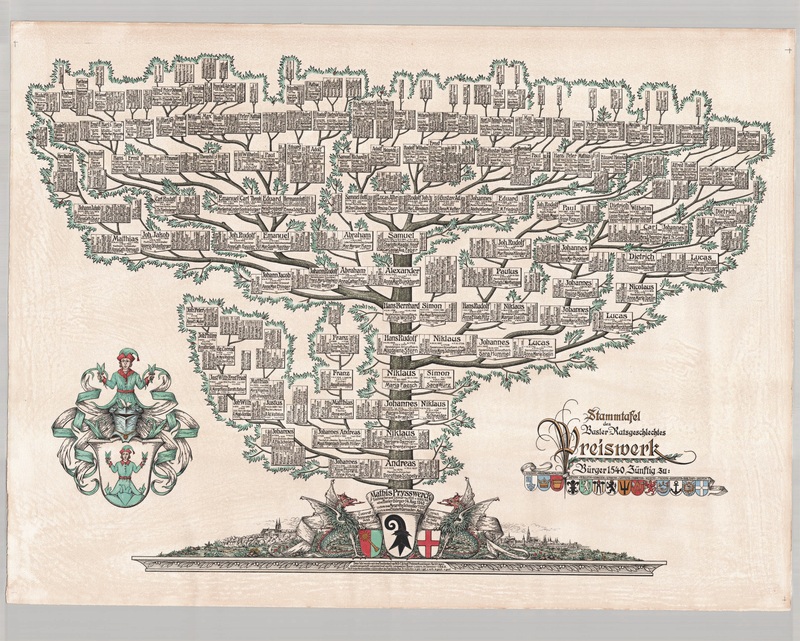 The Preiswerk family posesses a comprehensive family-book written by Ernst Schopf-Preiswerk which was later updated by Peter Preiswerk. Our family history is documented therein back into the 16th century. Today, the family has spread all over the world and it has become increasingly more difficult to track everyone. We have digitized the family book and continue it in digital form here. We are very interested in obtaining any kind of information about family members in order to keep our database up to date. Please let us know.